Have you ever woke up wondering how much you tossed and turned that night or how many walks you took over an entire day. I mean there are products to tell you this but I can guarantee you they are not nearly as neat as this product! Live Better. Start Now. Jawbone UP. Track your sleep activity, steps, calorie intake and more with the Jawbone UP wrist sensor and free mobile app. UP gives you meaningful, personalized insights so you can make lasting improvements to your everyday life. Best Buy Jawbone UP is a really neat product and can tell you things that you never knew before! I recently had the chance to review one of my own! I have to say I LOVE IT! I love it because it tells me how long I have been sitting, walking, how many steps I have took and it vibrates if I have been sitting too long!!! UP is a system that takes a holistic approach to a healthy lifestyle! Jawbone Up is pretty easy to use. As soon as you get it, I recommend charging for a day. One charge will last you 10 days though! It comes with a USB to plug into your computer to charge. You simply go to the Apple Store on your iPhone or Google Play Store on your Android and download the FREE Jawbone Up App! After you download, you will fill out a profile made specifically for you. It will ask your age, weight and all of that great stuff. Now, when you decide to go to bed, you can push the side of the band and there will be a little blue moon lighting up and it will vibrate. The wristband tracks your movement and sleep in the background. When you wake up, push it again and the little flower light will light up! The wristband comes in several sizes so you get the right one just for you! The app displays your data, lets you add things like meals and mood, and delivers insights that keep you moving forward. I love how it tracks motion, distance, location and speed. It is recommended that you sync Up at least twice a day! You can see everything that you need to know!You can also set goals for yourself for that day and share your activity on social media! I also love how you can wear it in the shower or when you go to the pool because it is water resistant up to 3.3'! Overall, I love the product because it can help me keep this information within easy reach and help me keep a healthy lifestyle. 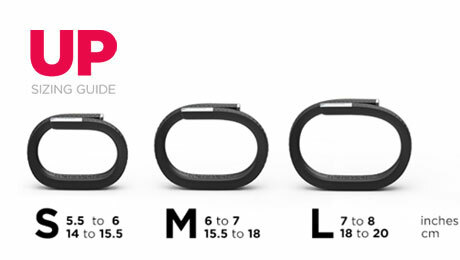 If you want Jawbone Up for yourself, head over to Best Buy and grab one! It retails for $130! Buy Best Buy Jawbone UP today! Christmas will be here before you know it and this will make the perfect, unique gift! "Disclaimer: The reviewer has been compensated in the form of a Best Buy Gift Card and/or received the product/service at a reduced price or for free." This sounds like a handy device I would probably be mortified with how little I move around. I really need to get in shape. This a awesome giveaway. I could use this to help with weight management. Love this! I would try to increase my energy each day!